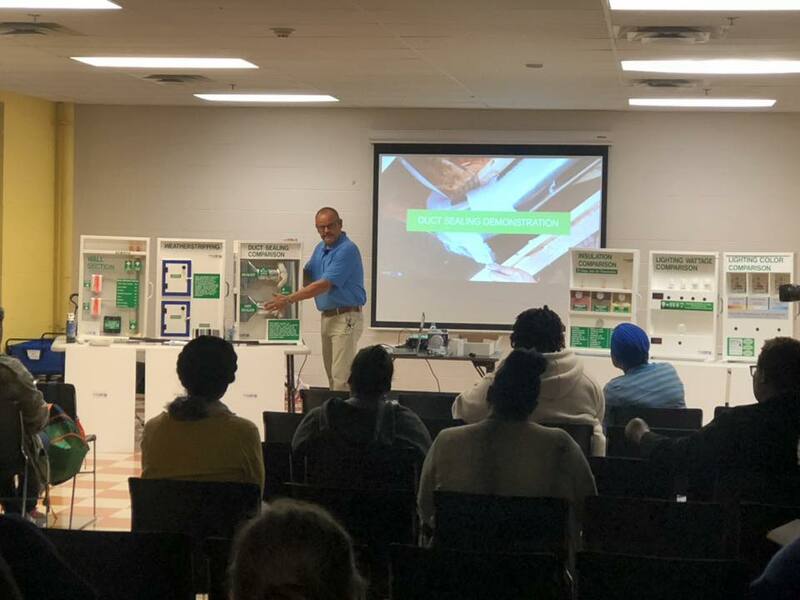 Nashville Electric Service (NES) held its Energy Savers Workshop Thursday night at Hartman Park Community Center. The Energy Savers Workshops, which are free and open to the public, are designed to equip customers with energy-saving knowledge to lower their electric bills. Set your thermostat to no higher than 68 degrees in the winter and no lower than 78 degrees in summer. Keep your garage door closed as much as possible. This will help buffer any colder outdoor air from trickling into the home. Close your curtains and shades at night to protect against cold drafts. Open them during the day to let in sunlight – a free source of heat. Even when turned off, electronics use energy if they are plugged in. Save energy by unplugging electronics when not used. One significant way to reduce energy consumption is to lower the temperature of your water heater to the recommended setting of 120 degrees. Exhaust fans in your kitchen and bathroom pull out hot air that rises to the ceiling. Try to use exhaust fans sparingly so they aren’t pulling out extra heat. Be sure your fireplace damper is closed when the fireplace is not in use, so you don’t lose heated air up your chimney. Use a ceiling fan to regulate the “feels like” temperature in your home instead of adjusting your thermostat. For information on the next community workshop, visit nespower.com.